Medical record personnel are available to process requests Monday through Friday 8:00 a.m. to 4:30 p.m. Authorization forms may be brought to the department, mailed or faxed to the address or fax number located at the bottom of the authorization. Your medical records will be mailed to you or you may pick them up from our department located on the second floor of the Bethania Building. 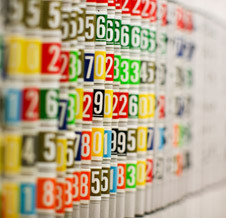 The Texas Legislature sets the fees our hospital charges for copies of medical records. This is found in S241.54(e) of the Health and Safety Code. These charges are reviewed and updated annually based on the price index as published by the Bureau of Labor Statistics of the United States Department of Labor. Download a pdf file of the Medical Records ROI Authorization. For assistance or additional questions, you may contact a member of the department by calling (940) 764-3627.